Madison Marshall is currently a student at the Colburn Conservatory of Music, studying with Paul Coletti. She was the last student of legendary viola pedagogue Dr. David Dalton. Notable performances include a debut in Carnegie Hall’s Stern Auditorium, multiple features on KBYU-FM radio, and solo appearances with the Utah Symphony, American West Symphony, Utah Valley Symphony, Pleasant Grove Orchestra, American Fork Symphony, and the Orchestra of Southern Utah. Madison was a winner of the 2014-17 Utah Symphony Youth Guild Competitions, the grand prize winner of the 2016 UBE Solo Scholarship Competition, and her chamber groups have been awarded six Best of State medals, advanced at the Fischoff National Chamber Music Competition, won the 2011 and 2014 University of Utah Chamber Music Competitions, and been invited by Utah First Lady Jeanette Herbert to perform at the National Governors’ Convention. In 2015, she attended the Meadowmount School of Music, where she studied with Patricia McCarty and her quartet won the festival’s annual chamber music competition. She attended the Heifetz International Music Institute on a merit scholarship in 2016, studying with Jeffery Irvine, Robert Vernon, Barbara Westphal, Atar Arad, and Martha Strongin Katz. She was recently selected by world-renowned violinist Itzhak Perlman to become a member of the Perlman Music Program. Madison also enjoys history and linguistics, and is a published writer. Kayden will be serving an LDS mission in the Fall of 2017. When he returns, he will attend BYU. Kayden started playing the cello at the age of 6. He started studying with Brittany Gardner in 2007. He played in the all-state orchestra for 3 years. He has been in the Gifted Music School Conservatory orchestra for 5 years. In 2015, his piano quartet won both the University of Utah Chamber Competition in the high school division, and the Utah Symphony Youth Guild Chamber competition. As a member of the GMS Conservatory he has played for world renowned artists such as Arnold Steinhardt, Bill McLaughlin, Joseph Silverstein, and Midori Goto. In addition to excelling in music, Kayden was also a member of the National Honor Society and has played competitive baseball since he was 9 years-old. was also a starting pitcher for the JV team and a relief pitcher and starting catcher for the varsity team his junior year. Kayden also has played catcher for Providence Hall’s first UHSAA baseball team. Will Yavornitzky currently studies violin performance at the San Francisco Conservatory of Music, where he is a scholarship student of Wei He. Formerly a student of Eugene Watanabe, Will was a student at the Gifted Music School for seven years. 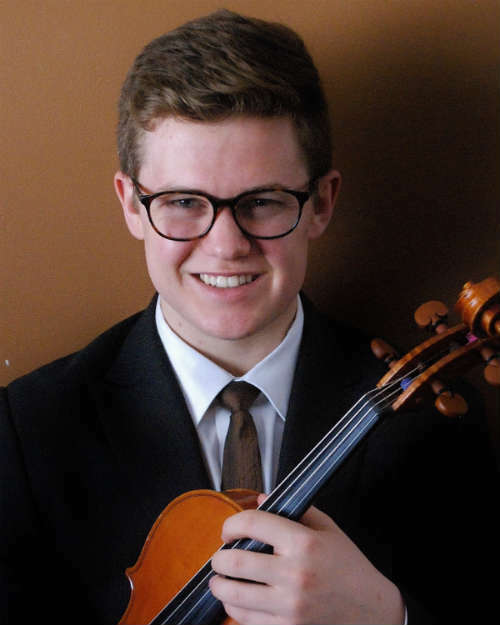 Will has performed as a soloist with the Utah Symphony as a winner of the 2016 Salute to Youth competition as well as having been a winner of the 2014 Utah Symphony Youth Guild Recital Competition. Additionally, he is a three-time First Prize winner in the ASTA Stringfest solo competition. Will has also been a member of the Salt Lake Youth Chamber Society. His previous teachers include Leonard Braus, Associate Concertmaster of the Utah Symphony, and David Porter, also of the Utah Symphony. Will attended the prestigious Meadowmount School of Music, where he studied with Joseph Silverstein and Jan Mark Sloman. He has performed in masterclasses for many well-known artists, including Mr. Silverstein, Andres Cardenes, and Leila Josefowicz. When he is not performing, Will enjoys physics, creative writing, and mathematics. 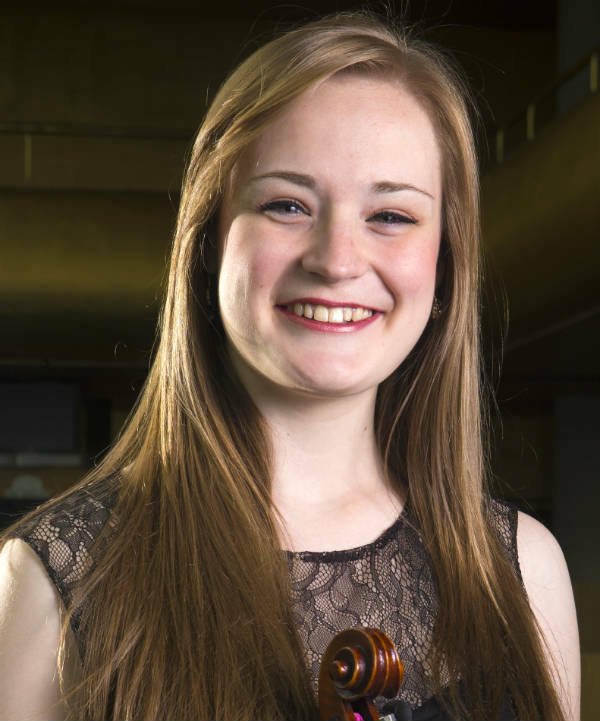 Bree Fotheringham is a student at the Colburn Conservatory of Music, where she studies violin with Robert Lipsett. 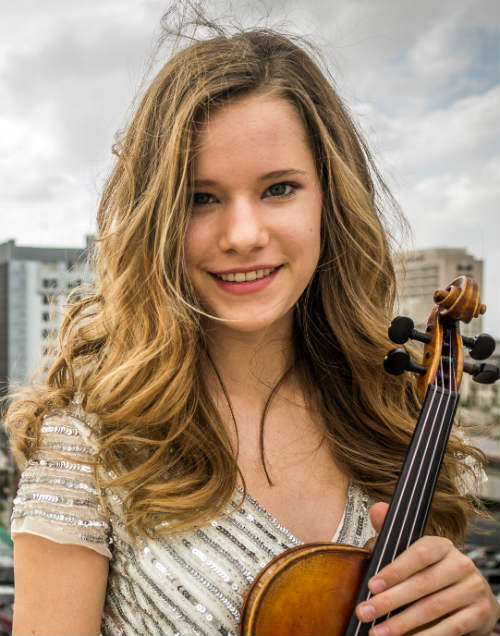 Bree soloed with the Utah Symphony in 2016, the American Fork Symphony in 2013, and was a top prize winner in both the 3rd and 4th Utah Stradivarius Competitions. She was the senior division winner of the 2014 and 2015 Utah Symphony Guild competitions and took 1st place in the Utah ASTA state solo competition. She has had masterclasses and performed with various artists, including Joseph Silverstein, Andres Cardenes, Leon Fleisher, Jason Vieaux, Arnold Steinhardt and Roberto Diaz. She was a full scholarship recipient at the Gifted Music School for 5 years, and has been featured several times on KBYU-FM. Her past teachers include Eugene Watanabe, Karen Child, Shi-Hwa Wang and Anna Mitton. Margaret Ivory is an undergraduate student at Stanford University and currently studies violin with Dr. Joo-Mee Lee. Although she is pursuing a B.S. 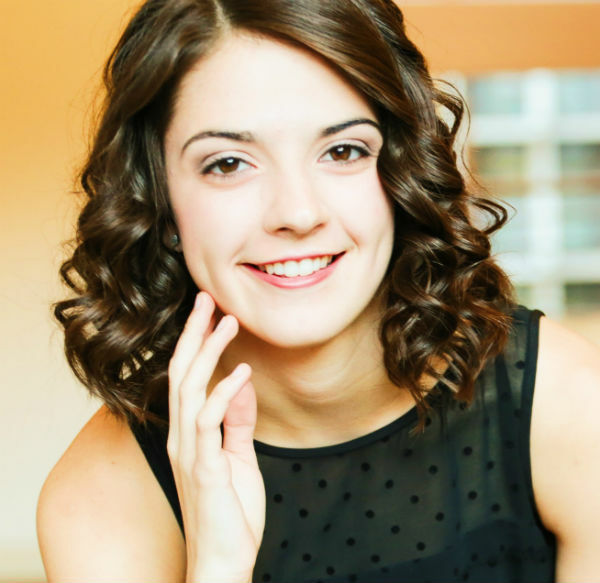 in Management Science & Engineering, music continues to deeply enrich Margaret’s life. In 2017, she was selected to be a member of Stanford’s Music Performance Program. Within this program, she has served as concertmaster of both the Stanford Symphony Orchestra and Stanford Philharmonia and frequently performs as a soloist and chamber musician at various university functions. Prior to living in California, Margaret studied music as a full-scholarship student at the Gifted Music School’s Conservatory and as a pupil of Eugene Watanabe and Deborah Moench. In the School’s 2014-2015 season, she performed Mozart’s Sinfornia Concertante with violist, Roberto Diaz. Other notable concert appearances include a 2013 performance at Carnegie Hall’s Weill Recital Hall, two solo appearances with the Utah Symphony, and multiple broadcast recordings for KBYU-FM. 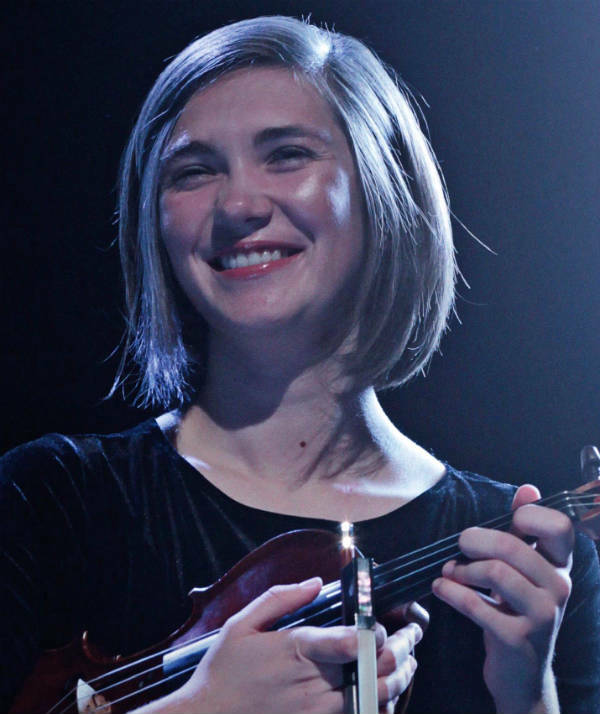 Competing at an international level, Margaret was named Second Place winner of the 2013 American Protégé International Concerto Competition and one of 21 semifinalists at the 2015 Thomas & Evon Cooper International Violin Competition. Additionally, she has performed for renowned violinists and professors including Christian Tetzlaff, James Ehnes, Andrés Cárdenes, Robert Lipsett, Midori Goto, Joseph Silverstein, Ida Kavafian, and Arnold Steinhardt. Aubree has twice been featured on National Public Radio’s From the Top, and is a three-time Utah Symphony Salute-to-Youth winner, and was also awarded the opportunity to solo the complete Tchaikovsky Violin Concerto with the Utah Symphony on their All-Star Evening at age thirteen. Aubree won first prize in the American Protege International Strings Competition and soloed at Carnegie Hall at age twelve. She won a Utah Best-of-State award, and was the Arts & Entertainment BOSS trophy winner for 2011 as Utah’s “Top Entertainer.” Aubree is a Utah Stradivarius competition winner, Young Artist Competition winner, and won the Southwestern States division in the Music Teachers National Association strings competition. She has soloed with a wide variety of groups including the Millennial Choir and Orchestras, Utah Chamber Artists, Salt Lake Pops, and was concertmistress of the Gifted Music School Orchestra of Salt Lake City for two years. Aubree most recently was featured this summer at Center Stage Strings in Three Rivers California, and has appeared in a wide variety of music videos. She has performed in venues from Seattle to Washington D.C., and in over 100 elementary schools throughout the intermountain west, motivating and inspiring young children to work hard and participate in music. Aubree is also a state and national award winning composer, and was twice recognized as a “composer of great promise” by the New York Arts Ensemble before the age of twelve. Aubree has co-composed and recorded five original CD albums, and was also the first to record the challenging and beautiful Dickson Violin Concerto (2012; composed 1966). Aubree has had master classes from Robert Lipsett, Joseph Silverstein, Andres Cardenes, David Kim, Danielle Belen, Stefan Jackiw, Evgenia Epstein, among others. 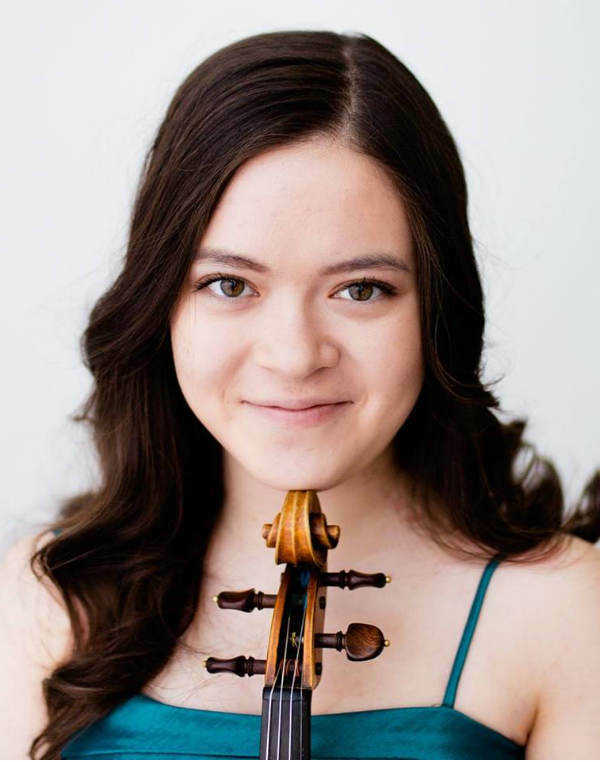 She has studied violin formerly with Eugene Watanabe, and Danielle Belen, and is a currently a student of Robert Lipsett, attending the Colburn Young Artists Academy as a Marilyn Ziering scholar. Shenae Anderson began studying the violin at age three with Deborah Moench. Since 2008, Shenae has won numerous competitions, including, Utah Youth Guild, MTNA, and Utah State Fair. In 2008 and 2010, she performed as a soloist with Utah Symphony in the Salute to Youth Concerts. In December of 2010, she was invited by Maestro Thierry Fisher to be a guest soloist with the Utah Symphony for its assistant conductor auditions. Shenae was the winner of Stradivarius International Violin Competition Utah Division in 2013. She studied with Robert Lipsett at the Aspen Music Festival in Colorado. Shenae has had master classes with David Kim, Robert Lipsett, James Eness, Andres Cardnes, Joseph Silverstein and Roberto Diaz. She is studied with Eugene Watanabe at the Gifted Music School. Ethan started playing the violin at age 8, and switched to viola at age 12. He is an alumni of the Gifted Music School Conservatory in Salt Lake City. He has won concerto competitions and soloed with the Utah Valley Symphony Orchestra (2014) and the Timpanogos Symphony Orchestra (2015. )He was also the winner of the 2011 Utah Baroque Ensemble competition and won 2nd place in the Utah ASTA solo competition in 2012. Ethan has attended Interlochen Arts Camp (2013) and Meadowmount School of Music (2014) both on full Scholarships. While at Interlochen, Ethan was a member of the Advanced String Quartet program, and sat 2nd chair in the World Youth Symphony Orchestra. At Meadowmount, his quartet, coached by Clive Greensmith of the Tokyo String Quartet, was selected as one of the winners of the annual chamber music competition hosted there. Ethan has performed in master classes conducted by Brad Otteson (Utah State), Roberto Diaz (Curtis Institute), and Heidi Castleman (Julliard). Past teachers are Peggy Haines, Lori Driggs, LeeAnn Morgan, and Patricia McCarty (Boston Conservatory). 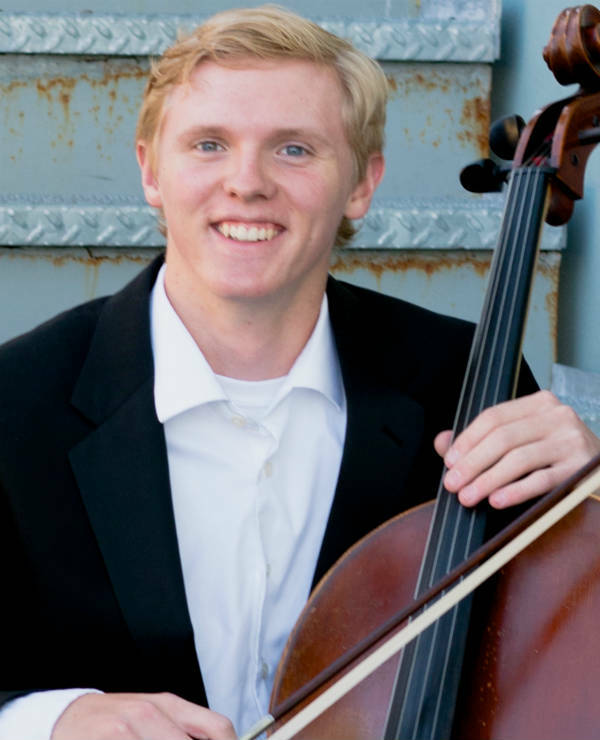 Ethan graduated a year early from Timpview High School in Provo, UT and received a scholarship to study viola at BYU for a year before he left to serve an LDS mission in Kobe, Japan. During that year he sat second chair in the BYU Philharmonic orchestra and was also a member of the Chamber Orchestra. 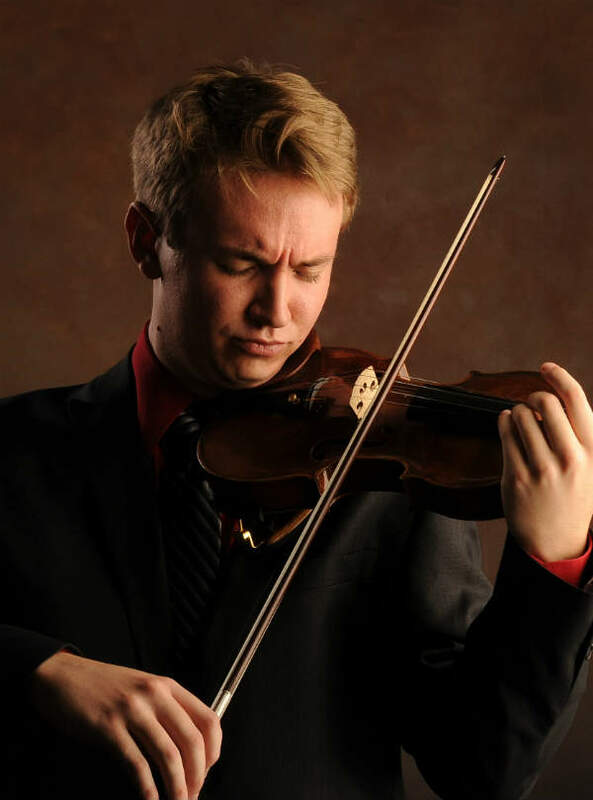 In July of 2016 he will return to BYU to continue as a viola performance major studying with Claudine Bigelow. He will always be grateful for his time at the Gifted Music School and considers it one of the important formative influences in his life as a musician. Rebecca, 17, began the violin at age three. Rebecca is a student at the Curtis Institute of Music. She was a full-scholarship recipient in the Gifted Music School Orchestra, where she was a principal violist in the Conservatory orhcestra, and violist in the Veloce string quartet. 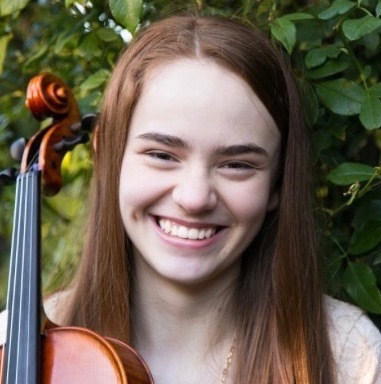 Rebecca has placed (1st place, 2nd place, 3rd place, and Honorable Mention) each year that she has participated in the American String Teachers Association festival at Weber State University and received an Honorable Mention in the Utah Symphony Youth Guild recital auditions in 2012 and 2014. Rebecca won the American Fork Salute to Youth competition where she soloed with the American Fork Symphony in April of 2014. 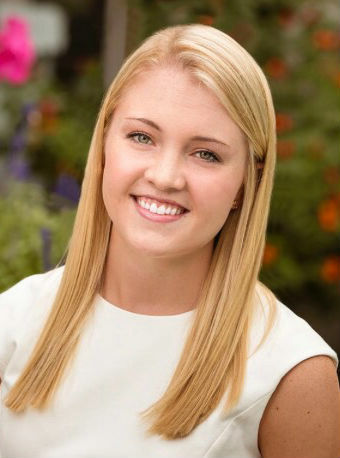 Rebecca currently studies with Dr. Elizabeth Wallace, and past teachers include Janet Epperson and Karen Child. In her spare time, Rebecca likes to run, bake, read and write. Camille Annette Stanley, age 21, is currently serving an LDS mission in the countries of Romania & Moldova. While in Romania, she has enjoyed being a Training Leader, teaching English to 30 students in a Romanian/English class, and playing her violin. She will return to the United States in August, 2017 and will resume her undergraduate studies at Westminster College as a Presidential Scholar and Gillmor Music Scholar. She is a student of Yuki MacQueen, violinist with the Utah Symphony. She began her violin studies at age 4 with Deborah Moench, and has studied with Natalie Reed and Eugene Watanabe. She was formerly a full scholarship student at the Gifted Music School. Camille was concert-mistress of Davis Youth Symphony & Orchestra and a member of Rocky Mountain Strings for four seasons. She has performed for Utah Symphony’s Lobby-fest, and in 2014 she received an Honorable Mention in the Utah Symphony Youth Guild Recital. She is third of six children of Matt and Elise Stanley of Farmington, Utah.